Founded officially in 1945, D.O. Montilla-Moriles has been producing growing grapes and producing wine since the time of the Romans. Like elsewhere in Spain, Roman pottery, fermentation vessels, primitive wine presses, and depictions of Bacchus have been unearthed across the region. Furthermore, the philosopher Seneca the Younger lived in Baetica (present day Córdoba), and spoke extremely highly of his own vineyards. In many winegrowing regions of Spain, production and consumption of alcohol was halted during the years of the Moorish occupation. Nevertheless, the Moors celebrated wine in several Southern regions of Spain, including Montilla-Moriles. Arabic-Andalusian poems celebrated the wines of Montilla-Moriles, much like in Moorish Málaga. In the 19th Century, a canal was opened that connected Córdoba to Sevilla, and the wines of Montilla-Moriles were finally connected to the sea via the Guadalquivir River. The current D.O. is located 19 miles south of the city of Córdoba and stretches to the border of the province of Málaga in the south. Montilla-Moriles, like much of the south of Spain, was once an sea; mollusk fossils and even a whale skeleton have been discovered in the region. It ranges from 300-600m above sea level, and is a continental undulating sun baked landscape with relatively short, mild winters. Besides vineyards, the landscape is planted with olive and almond trees that thrive in the arid climate, and provide shade for vineyards and workers alike. Two-thirds of the soil in the region is comprised of a less desirable combination of iron rich red sandy clay intermixed with limestone. The desirable soils are identical to the famous Albariza of Jerez, limestone rich soils located on average about 100m higher than the rest of the landscape. 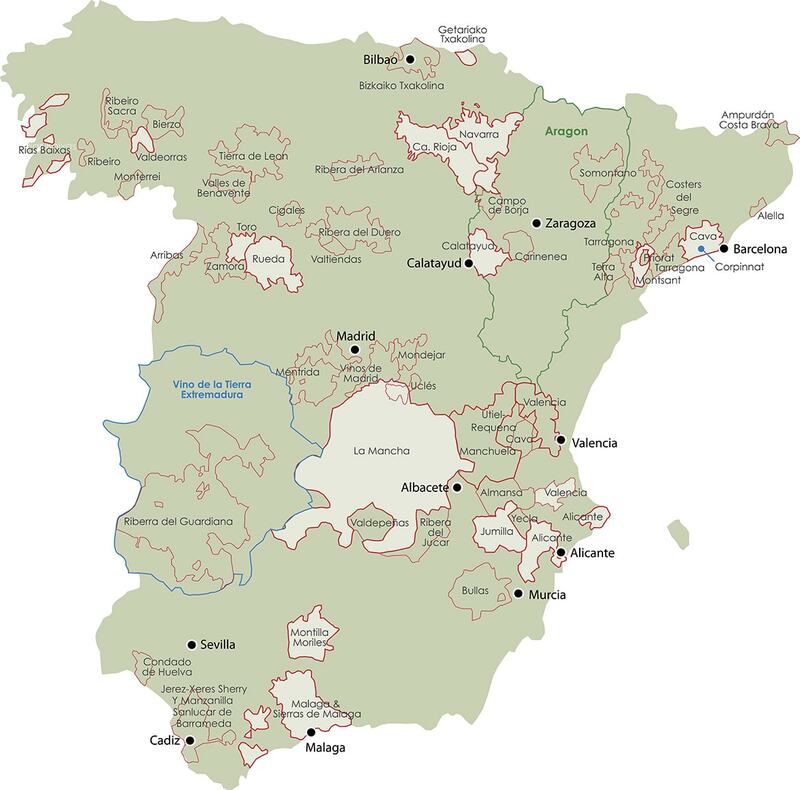 Most of these soils are are located on the cooler climate Sierra de Montilla. The indigenous Pedro Ximénez is perfectly adapted to these limestone soils, which crust over in the summer heat, saving valuable ground water. Pedro Ximénez is by far the dominant variety planted in Montilla-Moriles. In the United States, Pedro Ximénez is affectionately known as “PX” and is famous for its sweet wines from Jerez. Unfortunately, this is misinformation, as 99% of the Pedro Ximénez that is vinified in Jerez is purchased from Montilla-Moriles. Pedro Ximénez is a far more expressive variety than Palomino, which was replanted extensively in the south of Spain following the phylloxera because it is a cheaper variety. One of the most important aspects that makes Montilla-Moriles so special, is Pedro Ximénez’s ability to naturally reach high potential alcohol levels. The result is most of the Finos, Amontillados, Olorosos, and Palo Cortados do not require fortification. 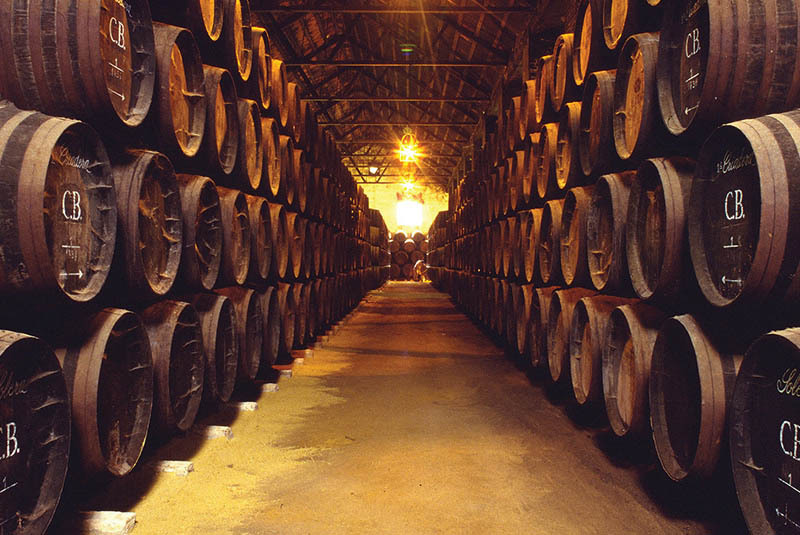 This is ultimately a benefit to the quality of the final wine, as the vast majority of producers in Jerez use the cheapest brandy possible for the fortification of their sherry. Although Montilla-Moriles has been overshadowed by its richer, more marketable neighbor, there are a few producers in this sun drenched undulating terrain to the south of Córdoba that aim for quality, instead of bulk wine sales. Alvear is the most important producer of such quality wines. The second oldest family owned winery in Spain, Alvear champions Montilla-Moriles as a quality wine region, not a little cousin to its famous neighbor.